One of Jacksonville’s landmark schools, Lee High School, is officially GREEN! The US Green Building Council recently awarded LEED (Leadership in Energy and Environmental Design) certification to this renovated historic school. MME managed the LEED process for this school in addition to providing structural, mechanical, electrical and technology engineering for the renovation of the school. The project was able to achieve LEED Certified status by utilizing energy saving designs and fixtures, using materials with a high degree of recycled content, and maintaining its open space and historic shell and façade in cooperation with the Riverside Avondale Preservation Society while completely updating its interior. Fun Fact: MME introduced Duval County Public Schools to LEED and green building efforts back in 2006. We gave them an educational presentation on LEED in 2007 and soon after they made the commitment to pursue LEED on the Westview K-8 school. They hired us to be the administrator/leader for the LEED certification process as well as to serve on the engineering design team. 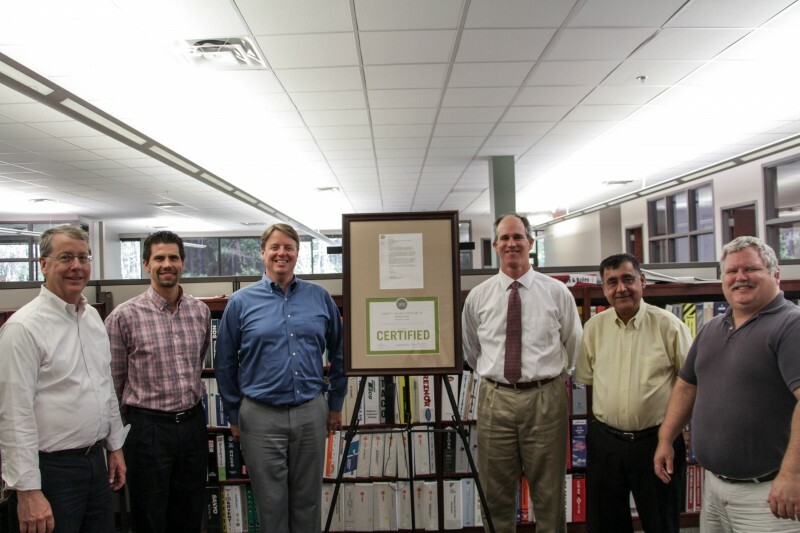 Their goal was to achieve LEED silver and we achieved a higher LEED certification level of Gold. It was the first LEED school in the NE Florida region! To view Lee High School’s LEED Scorecard, click here.